Here are the camera locations for 4th – 16th January. This entry was posted in Speed Cameras in Derby and tagged Derby Speed Camera on 3rd January 2019 by Toby Metcalf. Here are the camera locations for 3/12 – 19th December. This entry was posted in Speed Cameras in Derby on 29th November 2018 by Toby Metcalf. Here are the camera locations for 6th – 21st November. This entry was posted in Speed Cameras in Derby and tagged Derby Speed Cameras on 9th November 2018 by Toby Metcalf. Here are our camera locations for 24th October – 7th November. This entry was posted in Speed Cameras in Derby and tagged Derby Speed Cameras on 1st November 2018 by Toby Metcalf. Here are the camera locations for 24th October – 7th November. This entry was posted in Speed Cameras in Derby and tagged Derby Speed Camera on 24th October 2018 by Toby Metcalf. Here are the speed camera locations for 10th – 24th October. This entry was posted in Speed Cameras in Derby and tagged Derby Speed Cameras on 12th October 2018 by Toby Metcalf. 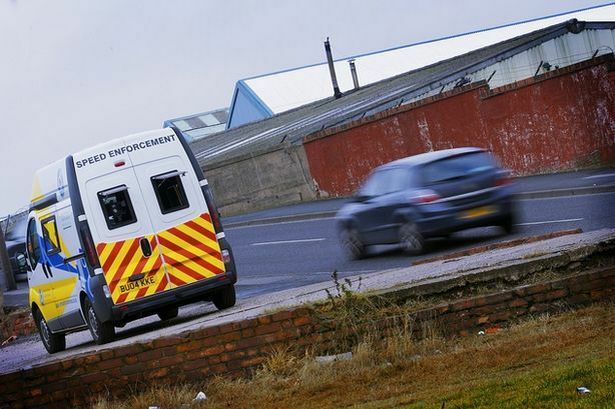 Here are the mobile speed camera locations for 25th September – 10th October. This entry was posted in Speed Cameras in Derby on 2nd October 2018 by Toby Metcalf. Here are the camera locations for 13th – 26th September. This entry was posted in Speed Cameras in Derby and tagged Derby Speed Camera on 13th September 2018 by Toby Metcalf. Here are the Derby camera locations for 29th August – 12th September. This entry was posted in Speed Cameras in Derby and tagged Derby Speed Cameras on 30th August 2018 by Toby Metcalf. Here are the camera locations for 16th – 29th August. This entry was posted in Speed Cameras in Derby and tagged Derby Speed Camera on 16th August 2018 by Toby Metcalf.